Have you ever wondered which animals come out at night while you're tucked up in bed? 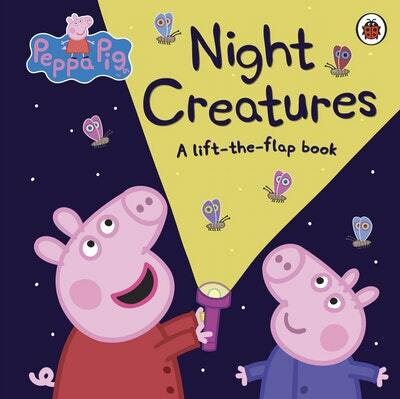 Lift the flaps and help Peppa to explore Grandpa Pig's night-time garden! Lift the flaps to help Peppa, George and Grandpa Pig find all the slugs, snails and other night creatures in Granny and Grandpa Pig's Garden! Love Peppa Pig: Night Creatures? Subscribe to Read More to find out about similar books.